Afaina de Jong defies stereotypes and breathes new life into buildings, communities, ideas and places. If you ever meet her or hear her speak, you won’t easily forget it. And if you’ve been to one of her buildings the overwhelming odds are that you enjoyed yourself. Her work is now on show at TENT in Rotterdam. Afaina de Jong established her interdisciplinary architecture firm AFARAI in 2005. She is one of the early pioneers in a now-ubiquitous model of self-initiated architecture in the Netherlands, becoming a ‘place-maker’ before that term was a buzzword in the field. After an early commission for a large public project, the MC theatre in Amsterdam, in 2009 she broke from conventional models of practice in architecture and began generating her own projects with AFARAI. The diverse output of AFARAI is characterized by community engagement, on-the-ground research followed by informed intervention. AFARAI’s style bridges high culture with street culture in an active way, often mediating conflicts or inspiring alternative approaches to urban and building renewal. Typically integrating concepts and movements in fine art, architecture and urbanism with Japanese- and African-influenced graphic design and street codes such as graffiti and hip-hop culture. The effect is often a dizzying rewriting of cultural codes and messages, assigning new values and associations. De Jong earned her degree at TU Delft in the late 90s when the world of architecture in the Netherlands was awash with new experiments and vibrant colour. Conventions everywhere were being challenged, new forms of visualization and communication emerged, breakthroughs and bold statements were being made. In this period, the Dutch architect not only became an innovative world leader in design but a public intellectual. Design and spatial research were then powerfully placed on both public and private agendas. After graduation, filled with the spirit of the times, De Jong went to work with the Japanese think tank Hakuhodo Institute of Life and Living, where she studied homelessness in Tokyo. After that she joined Rotterdam-based OMA/AMO, where she collaborated on work for the identity of the European Union. It was during her time at OMA/AMO, at age 28, that she was commissioned for the MC theatre in Amsterdam by a new coalition of grassroots theatre and dance groups representing local people of colour. While balancing work at OMA/AMO, De Jong worked with her team for three years on the MC theatre, taking it from inception to realization. The design for MC theatre, along with the Toko restaurant renovation, are both early expressions of her high/street cultural fusion style and bold Sol Lewitt-like aesthetics. However, experience with typical obstacles faced by architects, such as the disproportionate power and influence of building process mangers who were unconcerned about the interests of the MC theatre project and their client’s communities, revealed some profound limitations for the scope of practice. It was at this time that De Jong realized that a conventional office setting was not one that would allow her the time and autonomy she craved to explore unchartered territories in urbanism and architecture, nor the space to address and tap into the power of community. With AFARAI, she began to explore and prioritize new models and crossovers for architecture. An early exploration of this new kind of practice was the self-initiated and community-driven renovation of the Hofplein Station in Rotterdam. AFARAI worked with the collective Hofbogen BV, who networked support and finances for the project locally, and managed the building process in an engaged, concerned and flexible fashion. In giving designers and users choice and freedom, De Jong carefully observed the needs of the creative community who were occupying spaces in Rotterdam on a temporary basis. She then designed the pilot space for the long viaduct, with the budgets and needs of local artists and makers in mind, dividing the large space allotted to her into seven smaller spaces. The spaces were intended to evolve with the lifecycle and needs of the community. In the Hofplein Station, ad hoc ideas and temporary projects matured into businesses, nightclubs and permanent community centres. Today the Hofplein Station, better known as the Hofbogen, is an unmissable icon on the creative and nightlife scenes in Rotterdam. With AFARAI, De Jong consistently demonstrates that diversity is not only actual, by making communities and the positive qualities of difference visible, but also desirable, by communicating her vision and projects in vibrant and infectious style. Her current exhibition in contemporary art gallery TENT Rotterdam, entitled ‘BLUEPRINT: Whose urban appropriation is this?’, showing until the 27 August 2017, is an example of this approach. The exhibition focuses on the relationship between street culture and architecture and is part of the two-year initiative of the group Metro 54 to examine appropriation in contemporary urban arts and culture. 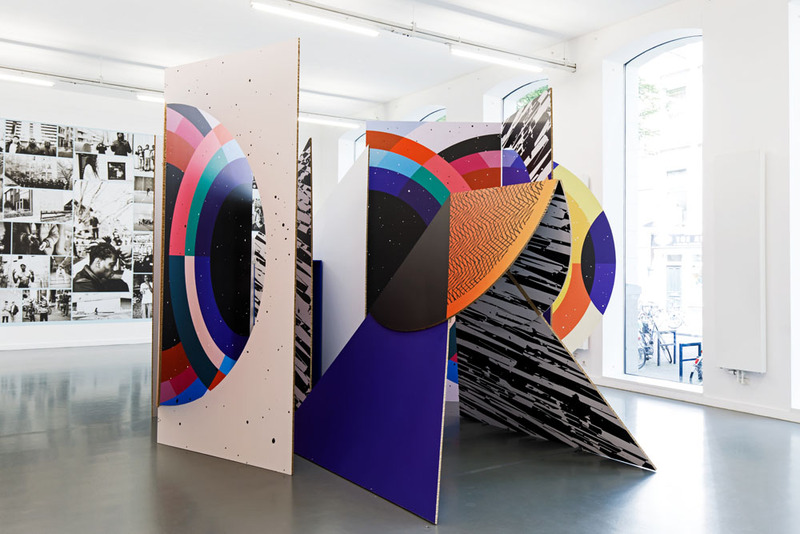 De Jong, working closely with graphic designer Innavison, reshapes the entire exhibition space with powerful geometric planes, providing a different context and mode of viewing for the multimedia artworks and documentaries. These are told from the perspective of often marginalized communities in Rotterdam, London, Lisbon and Paris. Much of the content of the exhibition brings to mind the phrase, ‘If only white people loved black people as much as they love black culture’. 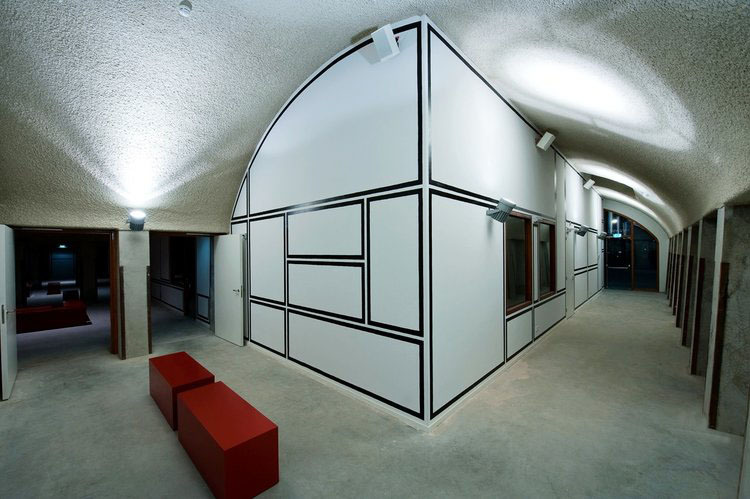 De Jong’s architectural interventions in TENT are thus a powerful statement for inclusion and agency. She effectively (re-) appropriates the exhibition space for the content, like a hack, to let in new ways of seeing. The distancing architecture of the white box is disrupted and the space is reclaimed and recoded. With BLUEPRINT, De Jong also presents earlier research and urban design she did on the Dutch Caribbean presence on the Kruiskade in Rotterdam. 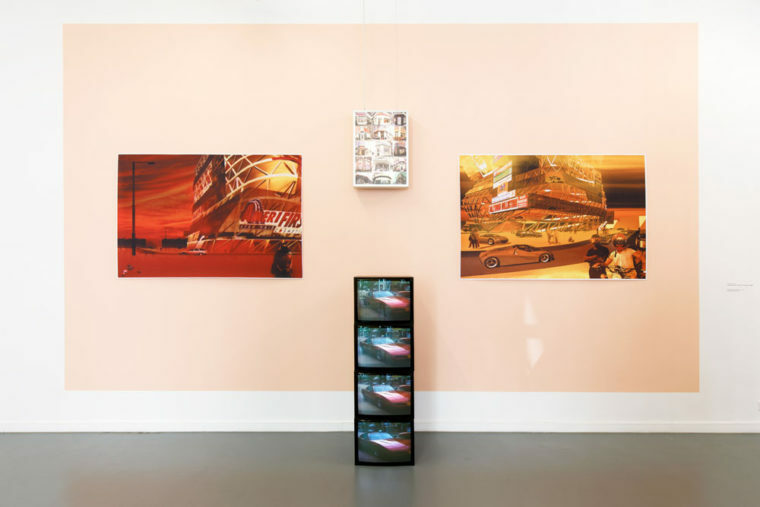 Her research and imagery stand in stark contrast to the bizarre all-white playgrounds regularly depicted as future visions for Rotterdam, the Netherland’s most ethnically diverse city. By simply observing and representing architecture from the perspective of the existing culture on the Kruiskade, De Jong’s renderings provide a charged political commentary. The glitzy, fancy car, cumbia beat, gold-plated Dutch Caribbean presence is carefully observed and then celebrated by drawing out an urban vision and renderings for the area. De Jong’s work resembles what is called ‘Afrofuturism’, which imagines a world where racism and exclusion no longer exist. A world where people of colour are agents and full subjects, not just existing as ‘others’ in someone else’s fantasy. ‘The city is always changing,’ states De Jong, and it’s important to embrace change. However, she is also increasingly aware of the negative effects of gentrification on cities, such as economic exclusion and displacement. She is critical of the role she as an architect and designer has to play in it. Her work as a Fellow for the Ideas City Detroit, initiated by The New Museum in New York, was an inspiration on how to generate a design process for inclusive and empowering urban renewal. The New Museum saw the need for diversity and local engagement in the identities of the professionals they commissioned to design and think together about the future of the city. Such diverse, local and interdisciplinary teams are unusual in practice but meant problems with exclusion and win-win solutions could be more quickly and easily identified. De Jong’s team tackled the impact of a proposal for a solar plant on the O’Shea neighbourhood in Detroit, where 80% of the people were renters and often dependent on government support. The solar plant would further isolate this vulnerable community from the rest of the city, and the industrial nature of the proposal would affect housing prices. De Jong’s team focused on circular economic solutions for the plant. Her team’s intersectional design considerations valued clean energy, social justice, economic gain and spatial improvement. This led to formulating the plant in new ways, which, among other things, led to a proposal for glasshouses throughout the neighbourhood and a community food cooperative under a huge solar roof. The last five years of practice for AFARAI have focused on research and interventions. In the future, autonomy and the integration of new technologies will become more important for her practice. Yet it would be a mistake to think that this autonomy will fit conventional notions of artistic and design autonomy. AFARAI’s approach embraces a ‘we’ culture, not one centred on individualism. If future projects are anything like the current exhibition and spatial intervention for BLUEPRINT, we are in for some brave new work. BLUEPRINT, Whose urban appropriation is this? until 27 August 2017 in TENT, Witte de Withstraat 50, Rotterdam.